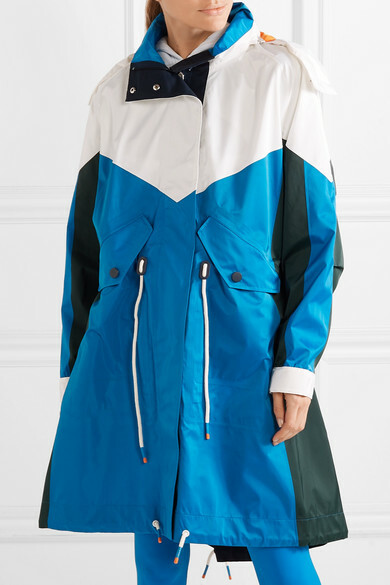 Tory Sport's jacket is made from lustrous shell that, although incredibly lightweight, is both waterproof and wind-resistant. 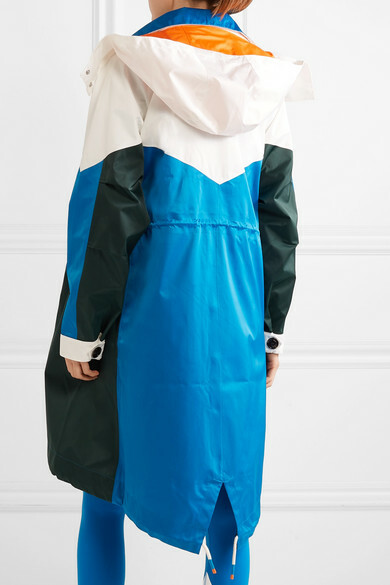 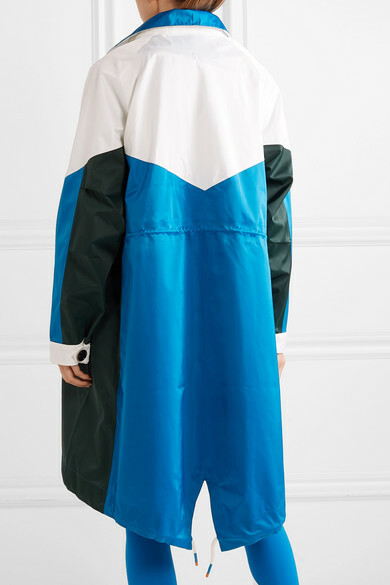 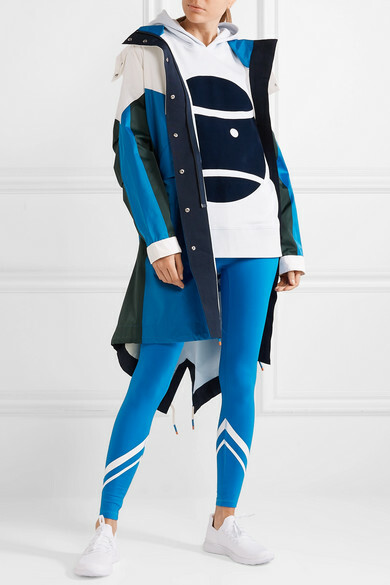 This color-block style has a detachable hood and is cut for an oversized silhouette that can be defined with the drawstring waist and hem. 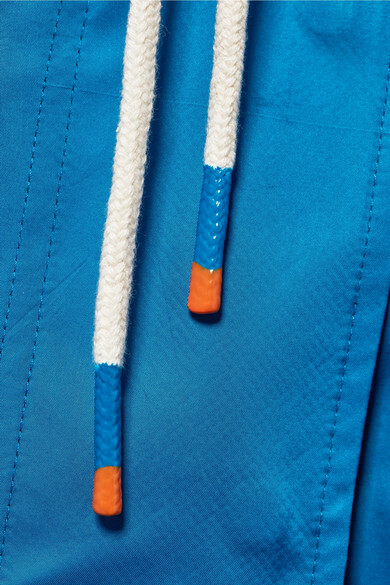 Inside, it's thoughtfully fitted with a cell phone pocket and a small hole for weaving your headphones through.